Counselor's Stories: My Wounded Solder Book Two Fight for Love - cover reveal ! 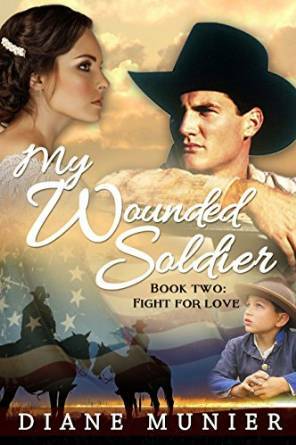 My Wounded Solder Book Two Fight for Love - cover reveal ! Tom Tanner has taken on a family. He lived through the war, but becoming a lover and pa to two small children may be the role that breaks him. This is the story of a man’s slow rise from black sheep to patriarch. 1866 is a time of learning to carry on in the aftermath of civil war. Tom is ready to heal, ready to take over Addie’s farm and make it a grand place. He has money from reupping in the war and reward money for bringing a few notorious outlaws. Can Addie’s love help him settle and become an outstanding man like his pa? It’s the only fight worth making-- a fight for love.